This entry was written by Rennsalon, posted on 18. 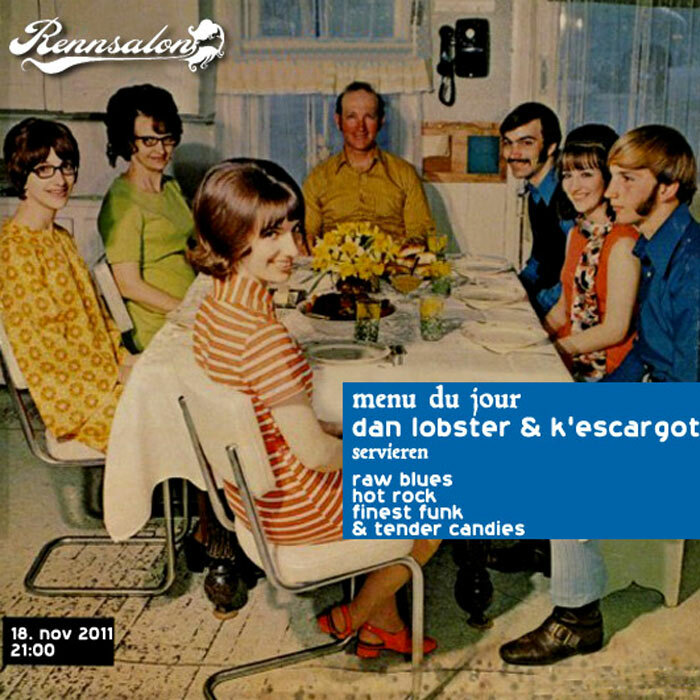 November 2011 at 21:00, filed under Dan Lobster & K´Escargot, Events and tagged blues, candies, dan lobster, dj, dj set, djs, finest funk, funk, hot rock, k´escargot, menu du jour, party, raw blues, rennsalon, rock, tender candies, veranstaltung. Bookmark the permalink. Follow any comments here with the RSS feed for this post. Post a comment or leave a trackback: Trackback URL.